If you are starting with a blank space and want your whole garden professionally designed to give you all year interest in your garden – and add value and efficacy result to your property or maybe just need some help to enhance or upgrade your existing garden, you will find all that you need on our Website. 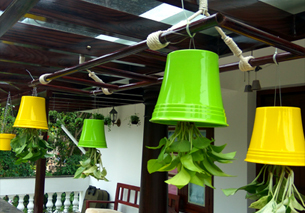 Embellishing you interior and exterior with astonishing pots of ceramic, semi ceramic, hanging planters, wooden planters and more which gives you heavenly feeling to your home. 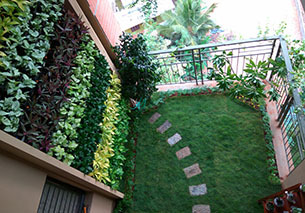 Landscaping is a key part of any garden. We can set hard landscaping features in places like garden buildings, garden sheds, gazebos, and trellises. 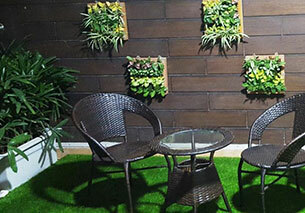 We can also set mini landscaping in Balcony and also in loggia too. Agricom Indoor Gardening is your one-stop-shop for all you indoor gardening needs! We strive to offer our customers the absolute best when it comes to growing advice and customer service, low pricing, and a huge selection of the industry’s top products. We know that the best advertising comes from happy customers! Indoor Gardens was built around you, making sure the customer always comes first! Every purchase you make is 100% guaranteed. We will exchange or refund your purchase price-including shipping costs-for any product that is not what you expected or does not work as described during its lifetime. Agricom's Supply is committed to operating our business in a manner that sets a positive example and leads the way to a more sustainable future.